Pick Analysis: Second-team All-ACC wide receiver in 2014. Ten of his 36 catches were for touchdowns and he averaged 24.2 yards per catch. Took part in 2015 Senior Bowl practices, but did not play in the game due to injury. In 2013, played in eight games and missed five games due to a partially torn MCL. Caught 13 passes for 272 yards and 2 touchdowns. In 2012, led Miami in receptions, receiving yards and touchdowns. Had four games of 100-plus yards. Won a 5A Florida State Championship while at St. Thomas Aquinas High School. 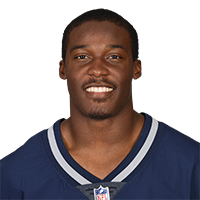 Published: Feb. 20, 2015 at 07:53 p.m.
Former Miami wide receiver Phillip Dorsett talks about his playing style, what NFL player he models his game after and reveals one thing fans might not know about him while at the 2015 NFL Scouting Combine. Published: Feb. 21, 2015 at 11:34 a.m.
Miami wide receiver Phillip Dorsett races against Marquise Goodwin and Dri Archer in the Gatorade Simulcam. Published: Feb. 21, 2015 at 09:37 a.m.
Miami wide receiver Phillip Dorsett runs the 40-yard dash at the 2015 NFL Scouting Combine. Published: Feb. 13, 2015 at 09:12 a.m.
University of Miami wide receiver Phillip Dorsett talks about his combine preparation and explains what his target 40-yard dash time will be at the combine. Published: Feb. 20, 2015 at 05:05 p.m.
University of Miami wide receiver Phillip Dorsett addresses the media at the 2015 NFL Scouting Combine. Published: Feb. 21, 2015 at 10:20 a.m.
Miami wide receiver Phillip Dorsett is matched up in the 40-yard dash simulcam to New York Giants wide receiver Odell Beckham Jr.